Ingrid Govan, 34, is a work wanderer. Originally from the French island of New Caledonia, she started her career in 2008 in Laos. Five years later, she moved to Singapore and last December, she accepted a position as Allianz’s Group Privacy Counsel in Munich. She’s not convinced Munich is her last destination. Ingrid’s willingness to move for work hints at a trend that will gain more ground going forward as millennials show comfort with the idea of wandering the world for employment opportunities. According to an upcoming Allianz survey on millennials and work, over half the respondents aged 18 to 36 follow such job-hopping career paths in Germany, the United States, the United Kingdom and India, and 48 percent in China. Depending on the country, up to a third embrace the opportunities offered by a mobile lifestyle but others are forced to job-hop due to circumstances. The conditions that often drove previous generations to move – urbanization and the slow death of rural communities and regional industries – are still present. But to this has been added the changing nature of work. Ingrid was lucky. 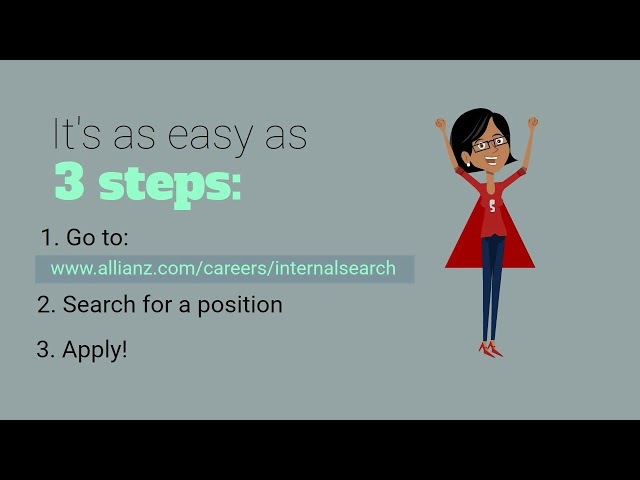 All her opportunities were within one company, Allianz, and they have so far provided a seamless career path. Many others are not so fortunate. Millennials are coming of age at a time when work is dramatically changing. Gone are the days when a career was defined by employment with one or two firms. Changing companies and professions frequently is no longer considered unusual, but much of this behavior relates to the nature of employment, which is becoming less secure. Companies often “de-layer”, a term for flattening hierarchies. This means fewer managers, cross-functional employees and redesigned jobs depending on needs. The result is a strengthening “gig economy” where permanent staff are sometimes replaced by short-term contractors or freelance workers. Add into the mix rapid technological disruption, which means new skills are emerging as fast as old ones are becoming obsolete, and you have an environment where careers are becoming increasingly fragmented and discontinuous. Ingrid admits that going outside your comfort zone is not easy. Artificial intelligence and robotics are expected to continue upending workplaces and more work in the future is expected to be done by machines. Most millennials in the survey also said they believed that the number of fixed jobs would continue to decrease. To find employment opportunities in such an environment, a willingness to relocate will play an increasingly important role. The survey showed American millennials were more willing to move than their German counterparts. In a 2010 survey, Geographical and Labor Market Mobility, published by the European Commission, it was found only 17 percent of Europeans could imagine working abroad and only 0.37 percent of Europeans actually move between countries each year. Europeans are reluctant to be separated from friends and families. They also gave practical obstacles, such as language, the hassle of a job search and adapting to a new culture, as reasons for not moving to find work. Akif Mert, 35, a German national, says such issues can be overcome and they do not outweigh the benefits of moving. People should not fear mobility, says the Singapore-based Head of Compliance at Allianz Asia Pacific, as such experiences broaden horizons and provide opportunities to learn, which helps build a stable career path. A traveler during his school and study years, Akif was always open to living abroad. So when he spotted an opening at Allianz Singapore, he jumped and shifted with his wife and two-year-old daughter. It’s not just the workers but also companies who have to adapt when it comes to mobility. In an era where employees are treated as disposable, firms may struggle to retain loyal staff. As populations grow older and Baby Boomers retire in greater numbers, companies may find themselves in a war for talent. Programs such as secondments, temporary assignments and job swaps can help. Allianz provides talent development programs involving international business trips and job swapping between the various operating entities. An effective talent mobility program can help diversify the skills of employees, and ensure they are challenged and more engaged. A 2016 study by Future Workplace based on firms in the U.S. links career mobility to organizational success. The study found that companies that embrace internal career mobility increase employee engagement and productivity as well as improve teamwork.